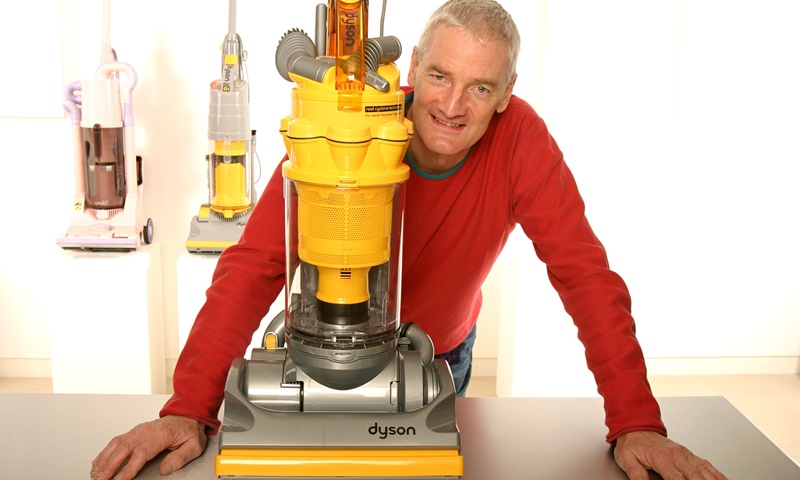 A Dyson shout-out... Debbie reported a problem with our Dyson Animal vacuum cleaner this morning. Problems are my job. :) I've written about this vacuum before; we've owned them for about five years now, and we're still amazed at what a great job they do. We're a bit of a conspicuous consumer of these: we have four at the moment, an older Animal we brought with us from Jamul, two modern Animals like the one at right, and a portable. Today I just want to talk about the engineering that went into these. It's superb, as becomes obvious whenever something goes wrong. The problem Debbie reported was that it would run, but weakly, for about ten minutes and then shut down. If you waited an hour or so, then it would run again, the same way. We've had this happen before, so I knew exactly what it was: the vacuum motor was working too hard, overheated, and then had to cool down again. There are really only two things that could make that happen: either airway was clogged up, or a filter was so dirty that it couldn't pass enough air. So I needed to examine all the airways. With every other vacuum cleaner I've ever owned (and I'm old enough that that's a disturbingly large number! ), this would mean an elaborate and confusing disassembly. Quite likely, it would need tools that I didn't have, or even proprietary tools (Kirby, I'm looking at you, you Communists!). Not with the Dyson. One snap-off plastic ring (no tools), one sliding inspection window (no tools), and one snap-off collection container (no tools), and I could examine all the airways. Total time: about 15 seconds. Total confusion and frustration: zero. Our problem today was a piece of cardboard that had gotten stuck in the airway, obstructing it. One push with a piece of wire and it was out, and the vacuum as good as new. A few seconds later, I had it all put back together. No tools.